Last week-end took place the last qualifying leg of the Reem Acra FEI World Cup™ Dressage Western European League at ‘s-Hertogenbosch. Danielle Heijkoop (NL), riding Kingsley Siro, was second seven percentage points back on 79.650. 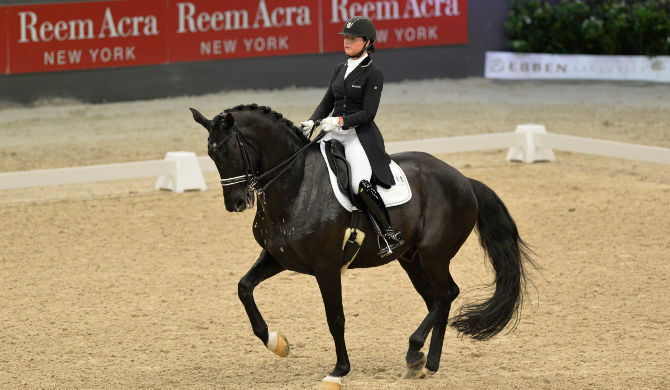 She is now qualified for the Reem Acra FEI World Cup™ Dressage Final which will take place in Lyon, France from 17-21 April.